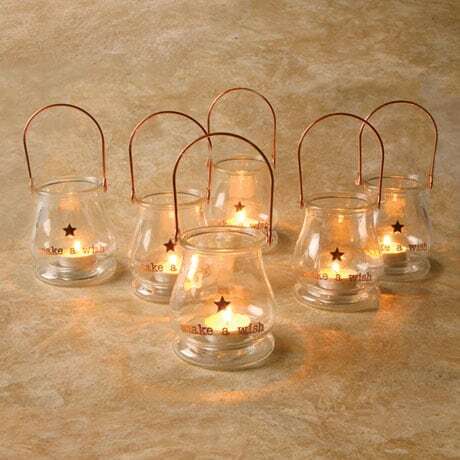 Set a party table - or all the tables at a wedding dinner - with these little glass tea light holders. Invite guests to light them and make a wish, then take them home as favors. Keep several on hand for special occasions, or to give away just because. Glass with metal handles, each holds a single tea light (not included). About 4" high. Set of six.